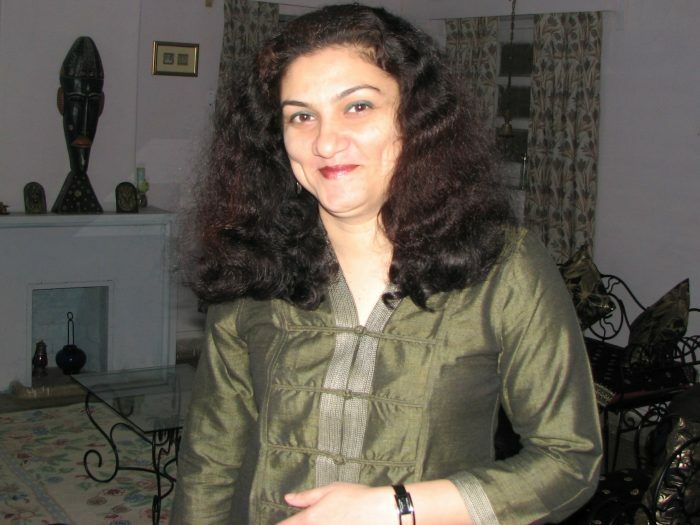 I am Bhavna Tokekar, 47 years young and presently residing at Bhopal. I am mother of two son aged 19 and 15 and am a homemaker by choice. I am a Commerce graduate and was a working woman before marriage. I had been a customer care executive with Sterling Resorts and DSS Mobile Communications for roughly 6 years. I did not take up a job after marriage by choice and not due to any compulsions. Having married a fighter pilot from India Air Force, I have stayed at various stations since 1998. I am a Maharashtrian but I did my schooling from Godhra in Gujarat. As a school student I had represented my school at district level in Table Tennis. While I did qualify in State level selection to represent Gujarat, I could not go for the training sessions due to my 10th board exams. After 10th my father got transferred to Ahmedabad and since then I could not pursue Table Tennis due to multiple reasons. I was never really out of shape even after I stopped playing. However, I did find it rather monotonous to attend school/ college for just studies. But then college life had its own advantages which I enjoyed thoroughly. I took up a job in the final year of graduation but college schedule and office work consumed most of my time (8am to 7pm) and possibility to play/ undertake any form of physical activity was near impossible owing to the mental debilitation and physical fatigue of commuting between office and home. While I did enjoy that period as well, I always yearned to get back to some form of physical activity. After marriage apart from household chores and taking care of kids ,gardening in the morning and 2-3 km walk in the evening were my basic physical activities I started gaining weight in 2007 as side effect of a prescribed oral steroid drug administered to me by a doctor. The drug caused severe cravings for sweet which actually led to the weight gain. While I did increase the distance and pace of my walks but it did not have much effect on the weight gain. I gained about 5-6 kgs due to the sweet tooth that I had developed with the drug. In 2010, I suffered from a skin allergy which caused severe rashes and itching all over my body. The treatment for the rash continues till date and I have tried out almost all forms of medicines and doctors to treat the rash/ allergy. The exact reason of the allergic rash is still not clear and most medicines prescribed to me are for symptomatic relief. However, in case of a severe flare up of the rash/ allergy I am prescribed oral steroids for 10-15 days to get it under control. I feel this skin allergy is the most difficult issue to deal with, till date, as it tests me both physically and mentally. I started cycling and running around 2011 to keep fit, control the weight gain and divert my mind from the allergy to maintain a positive attitude. 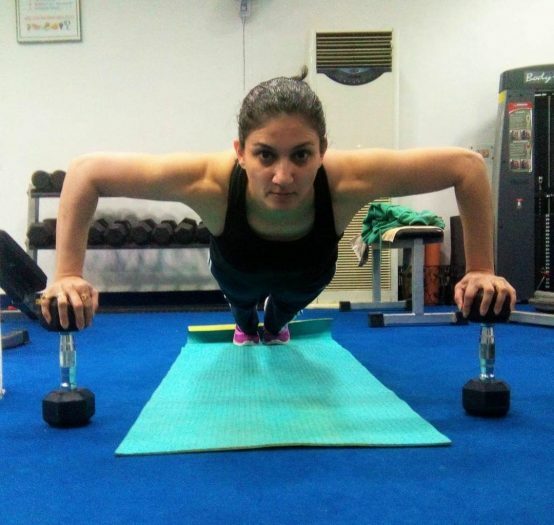 In 2012, I started to going to the gym to run on a treadmill as I realised that my skin allergy used to get aggravated with exposure to dust and bright sun, while continuing with treadmill running at an INDIAN AIR FORCE GYM, I was motivated and introduced to weight training by IAF bodybuilders who were trainers at the Air Force gym. Since then I have been weight training and have increased both my strength and stamina. Initially I did have inhibitions about bulking up, looking overly muscular and masculine, but I soon rubbished these misconceptions after I read and saw videos about the benefits of weight training by renowned weight trainers, lifters and bodybuilders on the internet and YouTube. I am now convinced that weight training has multitude of benefits and does give you a fit body, a healthy mind a positive attitude and more importantly it helps in confidence building . By 2014, I also started running longer distances (8-10km) both indoor and outdoor as I had decided to compete in a half marathon in the same year. I could not participate in the Delhi Half Marathon as my younger son, then 11, fractured his right hand in Oct 14. However, I continued with my running practice and completed my first half marathon in 2:17:42 at the B-Safal Ahmedabad Half Marathon, in Jan 2016. I completed my 2nd Half Marathon last year in 2:33:16 at the Run Bhopal Run 2018. I look forward to participate in trials for national powerlifting competition this year in my age category and am preparing for the same. I work out for 5 days in a week for 1.5-2 hours every evening. My weight training schedule comprises 6-8 exercises each for chest, arms, shoulders, back, legs and abs. In addition I also do aerobics every morning for an hour. I am a vegetarian and my diet is simple home cooked food. Since I love cooking and baking a balanced meal consisting of pulses/ legumes, fresh vegetables, salad, rice, chapati and curd. Variations within the available food items is done to retain the calorific value of the meal and maintain a healthy balance of carbs, fats and proteins. I take whey protein supplement twice a day, in the morning after aerobics and in the evening after weight training. I adhere to meal timings strictly i.e. breakfast by 8am, lunch around 1-1:30 pm and dinner between 8:30-9pm. As a pre workout meal/ snack banana and oats are my favourite which I eat about an hour before my workout. In the morning I have a glass of warm water with a teaspoon of honey and juice of half a lemon. At night I have a glass of warm water boiled with ajwain seeds, half an hour after dinner. I make it a point to have at least 12-14 glasses of water daily. I have only one cup of tea with milk in the morning with breakfast. Breakfast is mostly two hard boiled eggs and a slice of wheat bread with cheese. I am up at 5:30am for my aerobics class from 6:15-7:15 am. I have a glass of protein supplement immediately on returning home by 7:30am with the morning newspaper. Two hard boiled eggs with a slice of wheat bread and a cup of tea follows around 8am. I get on with my household chores thereafter. I am through by with most of the chores and cooking lunch by 11:30am and have a fruit or a glass of coconut water. Around 12:00 pm I am done with most of the work after which I make it a point to give rest to my feet by keeping them on a flat surface like bed or a couch. It is during this time that I read up ,watch my videos and compare it with the videos on internet to compare and check the likely faults and their specific benefits. Also keeping in touch with friends, relatives on personal mail and social media also takes some of this time. It is during this time that I attend to my responsibilities as the President Air Force Wives Welfare Association (Local) at Bhopal. Lunch between 1-1:30pm after which a few more chores and requirements for dinner are done. An hour long rest from 3:30 to 4:30pm follows this. 4:30 pm is the time for my pre workout snack/ meal. 5:30 pm is evening gym time and the workout lasts till about 7:30 pm including stretching and cool down. During my workout I have BCAA and water to stay hydrated. A glass of protein supplement is the first thing on return from the gym. Ration/ veggies as required for the next day are bought from the local vendor after this. A quick shower thereafter and prep for dinner follows. By 9pm we commence dinner with the news/ a favourite serial playing on TV. After dinner and clearing up, a leisurely walk of half an hour inside the society is the time to catch up with hubby on the day’s activity and speaking to my elder son studying at VIT Vellore. By 10pm we get back home and have a glass of warm water with ajwain. I retire for the day by 10:30pm.